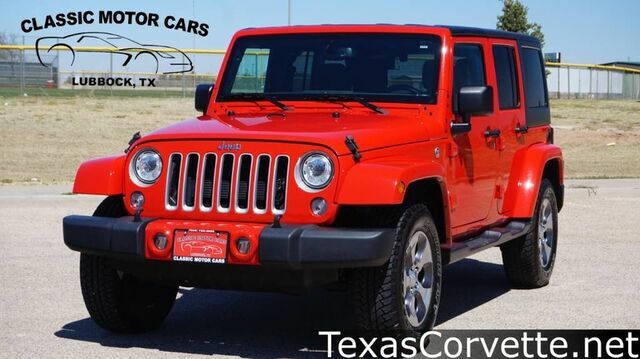 Contact Classic Motor Cars today for information on dozens of vehicles like this 2018 Jeep Wrangler JK Unlimited Sahara. When you purchase a vehicle with the CARFAX Buyback Guarantee, you're getting what you paid for. In their original incarnation, SUVs were chiefly owned by folks who valued "utility" above "sport." Not anymore! The Jeep Wrangler JK Unlimited Sahara redefines the SUV and makes the perfect "all around" family companion.